A Global Distribution System (GDS) is a centralized electronic platform that provides travel related transactions between travel providers and travel sellers. A GDS platform is the main access point for the travel industry to push and pull real-time inventory for airlines, hotels, car rentals, cruise ships, railways and more. 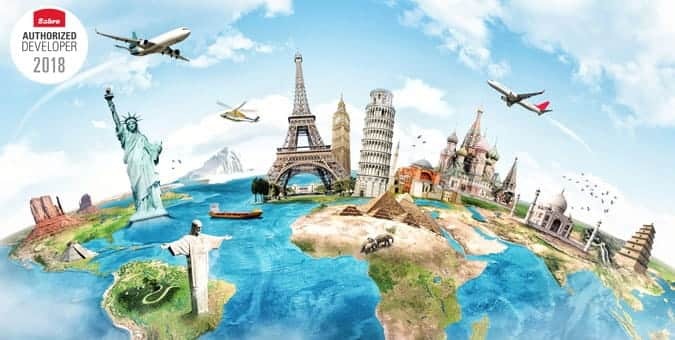 If you are in the travel business, whether you are a travel agent, hospitality entity or plan to launch an Online Travel Agency (OTA) it is important that you choose a GDS System that supports your marketing initiatives. Sabre, one of the leading GDS providers, is modernizing and changing the traveling industry with its travel marketplace. Their system is used by thousands of travel suppliers and buyers to facilitate market planning, selling, business operations and more. It is no surprise that Sabre is a popular option as they partner with companies worldwide giving more than 435,000 travel intermediaries access to their platform. Airlines & Airports- Sabre works with over 400 airlines around the globe. Car Rentals- There are 40 car rental companies within Sabre GDS System around the world. Cruise line- Sabre GDS marketplace has 17 different cruise lines with multiple cruising routes worldwide. Hotels- 175,000 hotel properties are on Sabre GDS System promoting their products and services. Rail Carriers- Sabre GDS contains all information travelers need when using railways as a source of getting around for 50 rail carriers. Tour Companies- 200 touring companies around the world can be found on the Sabre GDS promoting their options for an unforgettable experience. Integrations to a GDS can be configured to present data in a clear and unbiased way. Features can be implemented to compare many factors like pricing, location, dates, airline seating, and times. Having all that information in one place in a user friendly interface will promote brand loyalty and give you a competitive advantage. As the travel industry continues to become more saturated, businesses must utilize Global Distribution Systems like Sabre to gain exposure. Chetu can seamlessly integrate to the Sabre GDS and extend your travel offerings allowing your business to grow. Chetu's developers will configure and customize your platform, whether a hotel or an intermediary like OTAs, so that the most relevant information is pushed and pulled respectively for consumers to access it with ease.